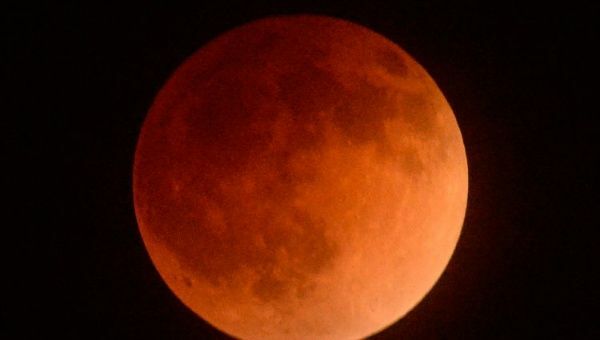 Rare blood wolf moon to be seen on Sunday - SABC News - Breaking news, special reports, world, business, sport coverage of all South African current events. Africa's news leader. Sky gazers are set to be treated to a total astrophysical eclipse on Sunday. A rare blood wolf moon eclipse will be seen in the skies across many parts of the world and in South Africa on Sunday night. The phenomenon, where the moon will appear reddish and closer to Earth, will last for close to three and a half hours. Sky gazers are set to be treated to a total astrophysical eclipse. This entry was posted on 20 Jan 2019,07:28AM at 7:28 AM and is filed under Sci-tech, Homepage Latest Stories Slider, Homepage Featured Story Slider. You can follow any responses to this entry through the RSS 2.0 feed. Both comments and pings are currently closed.